The global leadership must come forward to resolve this Rohingya crisis at its root, not in Bangladesh says Bangladesh Foreign Minister Dr AK Abdul Momen . Foreign Minister Dr AK Abdul Momen on Sunday said Bangladesh has been trying its best to guarantee these inalienable rights to all its citizens. These are the core values of our country and Bangabandhu Sheikh Mujibur Rahman, Father of the Nation fought for years to secure the basic rights that the Bengali nation had been deprived of. Our constitution that we adopted after the liberation war enumerated all human rights as fundamental rights and fundamental principles of State policy. 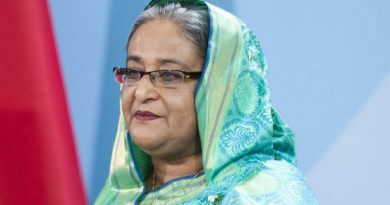 Foreign Minister said Prime Minister Sheikh Hasina has saved the face of the global leaders from “ignominy and disgrace” by sheltering the persecuted people of Rakhine province of Myanmar. “If she wouldn’t have given them shelter, it would end up with the gravest and worst genocide of the century since WWII,” he said urging the world leaders to show genuine commitment to human rights values by sending them back to their place of origin with safety and dignity. 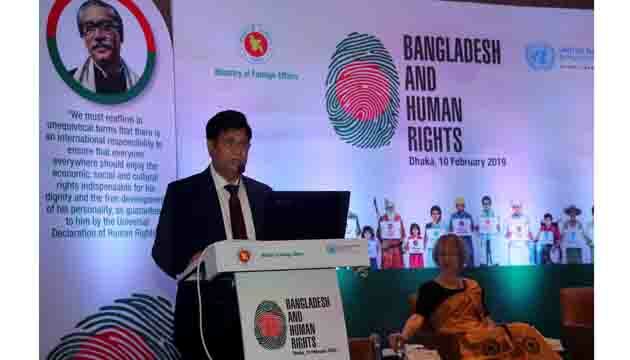 The Foreign Minister was addressing the inaugural session of a seminar on titled ‘Bangladesh and Human Rights’ at Inter-Continental Hotel in the city. 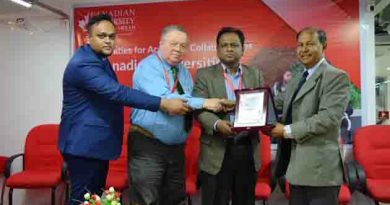 United Nations Resident Coordinator in Bangladesh Mia Seppo, among others, was present. “They need to be repatriated with safely and security at the earliest. Their exodus was created by Myanmar and it is their responsibility to solve it,” he said. These Rohingyas, Dr Momen said, are stateless people, they lived in Myanmar for centuries and Myanmar itself, a State – is failing to fulfill its obligations and responsibilities towards its own people. “My fear is that, if this problem lingers for a longer time, it may encourage creating pockets of radicalism and that may create problems of uncertainty and instability not only for Myanmar and Bangladesh but for the entire region,” he said. No wonder, the UN members overwhelmingly voted Bangladesh again into its Human Rights Commission,” he mentioned. Talking to reporters after the inaugural session, the Foreign Minister noted Bangladesh’s achievement in the areas of core HR issues and said many people in Bangladesh have relatively very much weak conception about the human rights which needs to be changed. Indian External Affairs Minister Sushma Swaraj assured Bangladesh Foreign Minister of India’s continued support for safe, speedy and sustainable return of the displaced people to Myanmar. 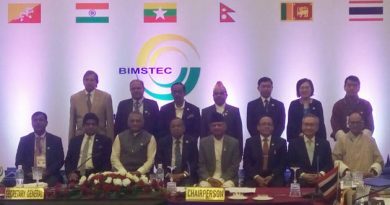 Bangladesh Foreign Minister Calls for Transformation of BIMSTEC into a Dynamic Organization.